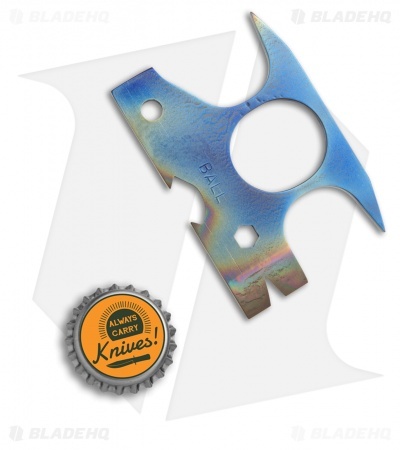 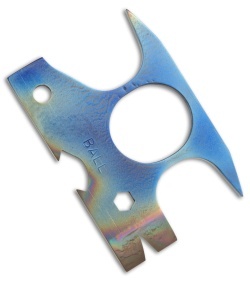 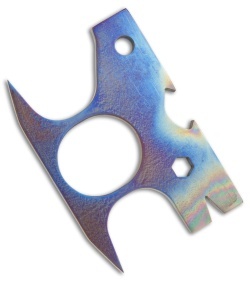 This Ball Buster pocket tool is made from titanium with a heat colored finish. Butch Ball's Ball Buster (say that five times fast) is a slim pocket tool/knuck hybrid made from a single piece of titanium. It features a 1/4" bit driver, bottle opener, and a pry bar. The Ball Buster is lightweight, fits easily into most pockets, and sports a lanyard hole for easy lanyard attachment.